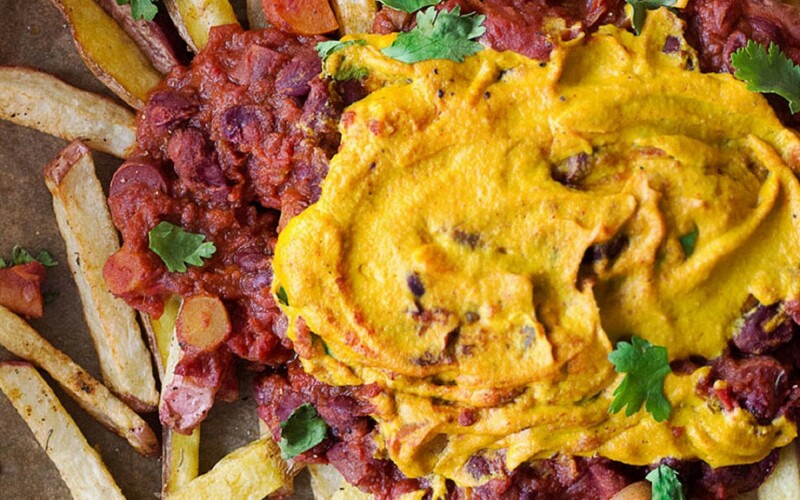 Crispy fries topped with spicy chili and beans, topped with a creamy vegan cheese sauce. This recipe is the ultimate snack food for any party! And the potatoes you use are up to you! You can use white, gold, or any color you like to create a delicious and colorful snack that’ll impress whoever has the pleasure of tasting it.